A three-day long Book and Photo Exhibition on Liberation War of Bangladesh was held at the central library of Jahangirnagar University (JU) from 20-22 December. The aim of the exhibition was to promote authentic history of the Liberation War of Bangladesh among the young generation. Vice Chancellor (VC) of the University Prof. Sharif Enamul Kabir inaugurated the programme as chief guest. Pro VCs of the university Prof. Moniruzzaman and Prof. Forhad Hossain, and Treasurer Prof. Nassir Uddin also attended the function as special guests. Prof. Salehin presided over the function. 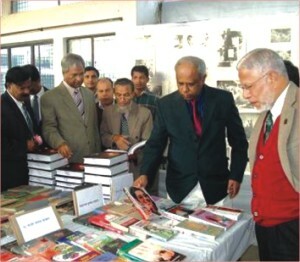 Around 800 books and 100 pictures on Liberation War of different writers and artists respectively were displayed in the exhibition. 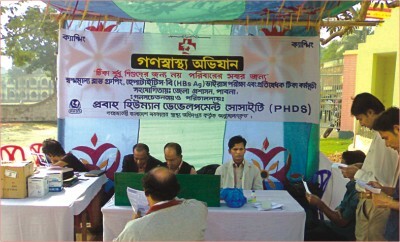 PROBAHO Human Development Society (PHDS), an organization for advocacy, alliance, research, training and action plan, conducted a health campaign entitled Gonoswasthya Ovijan (Public Health Expedition) with the help of Pabna District Administration at Govt. Edward College, Pabna from 21-23 December. The campaign was aimed at raising awareness about public health among the mass people, especially the students of the institution. The programme had been organized to test blood group and Hepatitis-B virus and offer prophylactic vaccination at a low cost. WITH the vision of preparing the next generation with value-based knowledge and leadership skills, National Debate Federation Bangladesh (NDF-BD), pioneer in carrying the torch of debate to the grassroot level of Bangladesh, is going to organise 5th NDF-BD National Debate Festival'10. As a continuation of the success of organizing three national debate festivals, this colorful event will be held on 30-31 of January in Dhaka. With the participation of about 2000 debaters from different Bengali & English medium schools, colleges, madrassahs, medical college & universities of the country - this two-day long festival will have different segments like Grand Rally, Model Debates of different formats, Public speaking competition, Debate Workshop, Campfire, Gift hamper and Certificate distribution, Multimedia presentation, Meet the personalities, Cultural show etc. Details about the competition can be found at www.ndfbd.org. 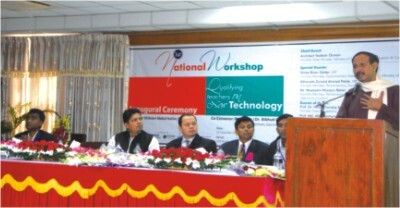 National Workshop, titled “Qualifying Teachers on New Technology” was held at the IDEB Bhaban, Kakrail, Dhaka on 22 December. The workshop was organized by Bangladesh Vocational Teachers Association (BVTA) with the Finance of Bremen University, Germany and joint technical cooperation of Bangladesh Skill Development Institute (BSDI) and Daffodil International University. The chief guest of the Inauguration Programme was Engineer Yafes Osman, State Minister, Ministry of Science and Information & Communication Technology. President of BVTA and convener of the workshop Shikder Abdul Halim chaired the event. Among the distinguished guests, Advocate Junaid Ahmed Polok, member of a National Parliamentary Standing Committee was present at the event as the special guest. Chairman of Bangladesh Technical Education Board Professor Md. Abul Kashem and Chairman of Bangladesh Skill Development Institute and Daffodil International University Md. Sabur Khan were present as Guests of Honor. The keynote speech of the Workshop was given by Dr. Enggnr. Bivuti Roy, the Honorary Professor of Bremen University, Germany & Co convener of the National Workshop. More than 350 vocational teachers from countrywide vocational schools were registered for the workshop. The workshop participants were divided into three different groups - ICT, Mechatronics and Educational Methods & Media. All the registered vocational teachers performed different activities in the daylong workshop, which ended with a certificate-giving ceremony for the successful participants. IN celebrating students' academic excellence, Oxford International School (OIS) proudly acknowledged the scholastic world records and outstanding achievements of its students in GCE O & A Level examinations in a special Award presentation ceremony. The school won a total of 75 Cambridge Outstanding Achiever Awards including 4 Top in the World and 19 Top in Bangladesh awards. The Minister of Primary and Mass Education Dr. Md. Afsarul Ameen was the Chief Guest at the ceremony. UGC Chairman Prof. Nazrul Islam and former Chairman of Red Crescent Society of Bangladesh Sheikh Kabir Hossain were the Special Guests while Director of Goethe Institut-Bangladesh Angela Grûnert was the Guest of Honor. Ambassador Lauren Moriarty, wife of U.S. ambassador to BD H.E. 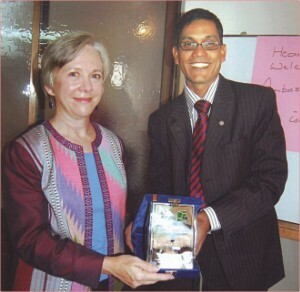 James F.Moriarty inaugurated Dhaka Language Club and Better Bangladesh Foundation Banani office on 25 November 2009. Masud A Khan, President of DLC and BBF presented a crest to her at Banani campus. Mrs. Moriarty has been impressed to see the students and teachers of DLC. RAPPORT Bangladesh Ltd. presented the 9th Rapport award for excellence in Human Resource Development-2009 on 25 December at a local hotel at Dhaka. The programme was presided over by Dr. Saadat Hossain, Chairman, Public Service Commission. Eminent Economist Prof. Muzzaffer Ahmed was the chief guest, while Prof. Hafiz A. Siddiqi, Vice Chancellor, North South University was the special guest. Rupali Chowdhury, Managing Director, Berger Paints Bangladesh Ltd. was the guest of honor. Dr. M. Mosharraf Hossain, Chairman and Managing Director, Rapport Bangladesh Limited gave the inaugural speech. A total of ten personalities were given the award. 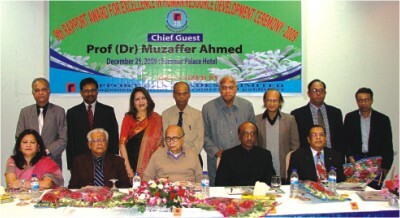 Prof. Dr. Ashraf Uddin Chowdhury, Dept. of Economics, University of Dhaka, Dr.Atiur Rahman, Governor, Bangladesh Bank, Zaglul Ahmed Chodhury, Eminent Journalist, and Prof. Dr. Muhammad Mahboob Ali, School of Business and Economics, Atish Dipankar University of Science and Technology were the Bangladeshis to have received the award.